Did the time spent playing with toys at your grandmother’s house lead to a full-time career? It did for Jane Labowitch. 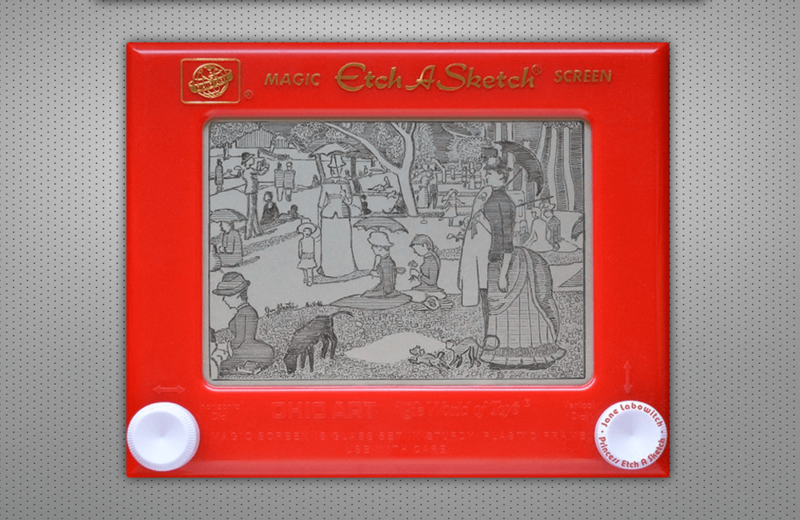 Known as Princess Etch A Sketch, the hours Jane spent at her grandmother’s house with an Etch A Sketch led to her developing a unique ability to re-create images on the iconic toy. Her work has been featured on CNN, Huffington Post, MTV, and others. These high-profile features led to a partnership with Disney. 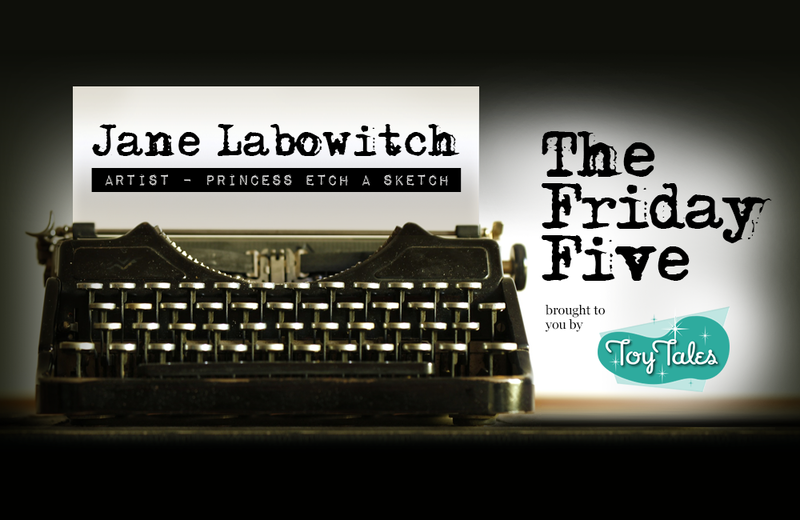 On this edition of The Friday Five, Jane elaborates on how she learned her skills, the work she’s done, and what images she plans on tackling next. 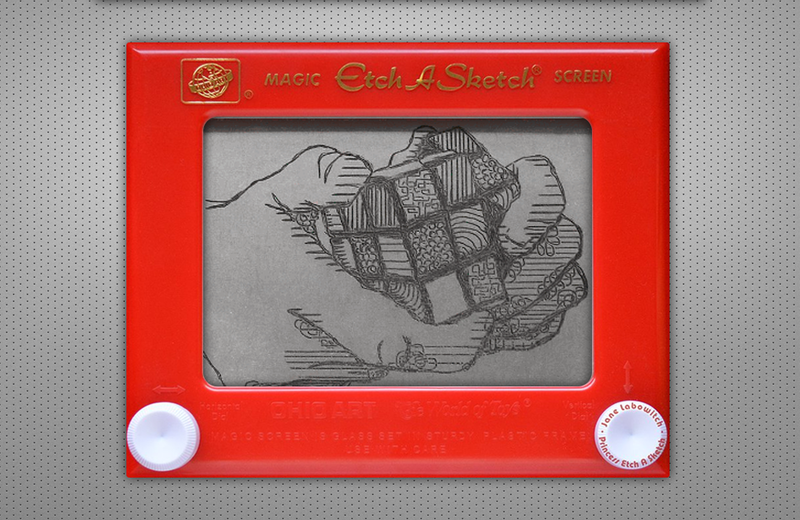 When did you first discover the Etch A Sketch? I started playing with the toy when I was about four-years old. I spent a lot of time at my grandmother’s house when I was a child. She wouldn’t let us watch television so she made sure there were toys available. When I was about 12-years old, I recognized that I had developed a unique talent. 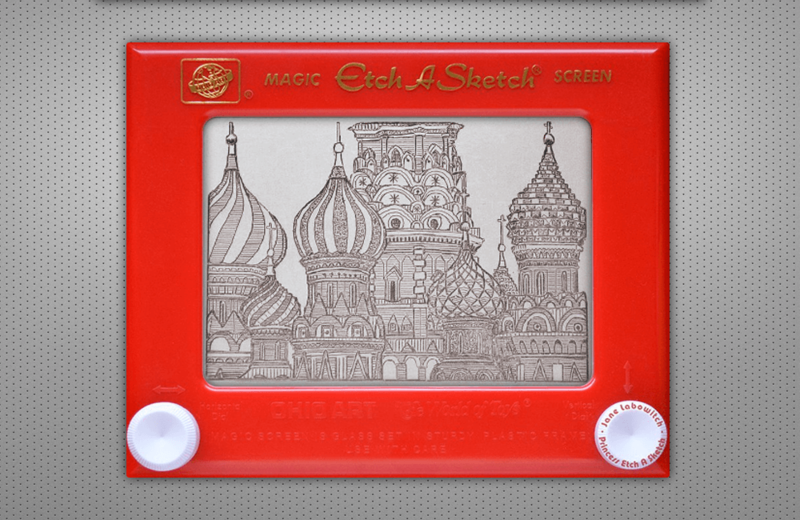 I just presumed everyone could do what I was doing but my friends couldn’t create the images I was creating on the Etch A Sketch. Some people thought it was a really difficult toy. 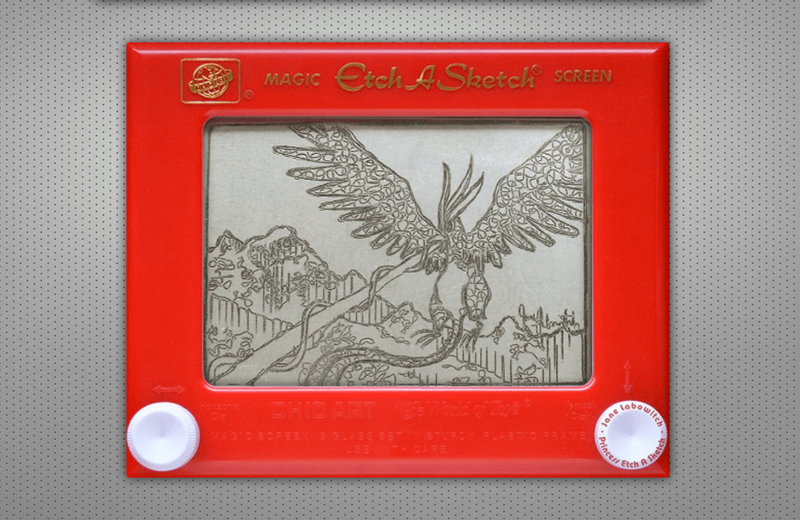 I continued creating images on the Etch A Sketch through art college. I started posting them on Facebook and requests to buy my work started coming in. 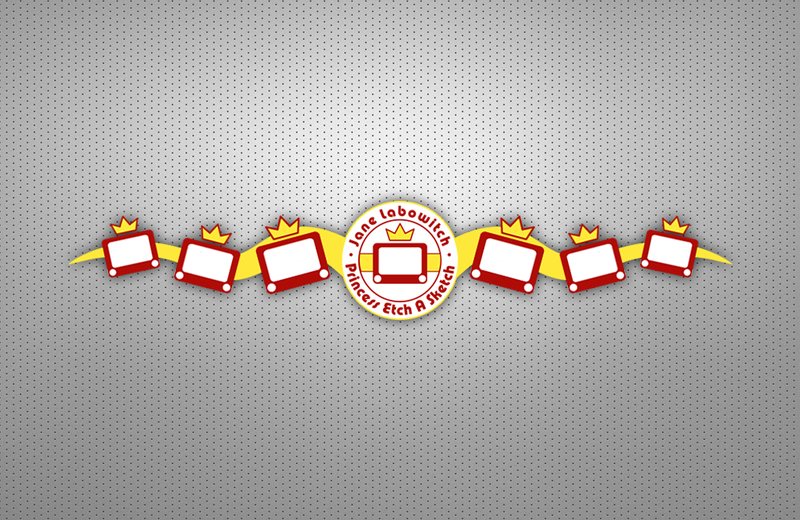 I taught myself how to make the images permanent so I could sell them and things really expanded from there. 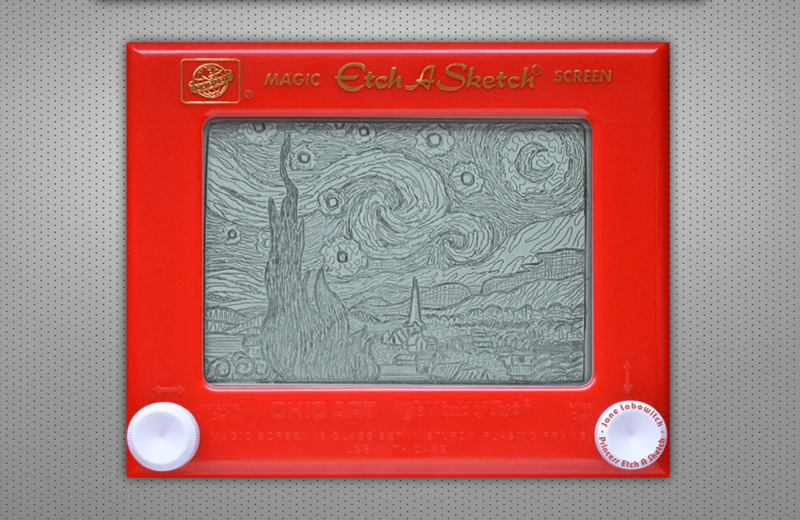 What is the most challenging sketch you’ve done on the Etch A Sketch? I recently re-created Georges Seurat’s A Sunday Afternoon on the Island of La Grande Jette on the Etch A Sketch. The original painting is on display at the Art Institute of Chicago. I live in Chicago so I went to the Institute so I could sit by the painting to re-create it. It took four sittings and a total of eight hours. I’m really pleased with the way it turned out. I’m a perfectionist so it can be difficult for me to ever consider something I created “finished” but I feel this Seurat painting is well-represented in the work I did. Do you create custom sketches on request? Absolutely! A large part of business is doing commissions. I get requests to re-create pets and family members on the Etch A Sketch through my Etsy store. I’m often asked to draw cartoon characters and other fictional characters. I also travel to events to create sketches of attendees and guests. I’ve been to California, New York, Florida, and Arizona. I sit with each individual for about 10 minutes to produce the sketch. I bring an assistant with me who does the work to make them permanent. How did your collaboration with Disney come about? I’ve worked with Disney on a couple of occasions. They came to me in a round-about way. My work is sometimes featured on DeviantArt. It was through DeviantArt that someone at Huffington Post saw my work and reached out to the site to get my contact information. Huffington Post wrote an article about my work that featured a few of my sketches and mentioned a sketch of Jasmine from Aladdin I had done. An employee of Disney saw that article and contacted me to see if I would be interested in created works featuring the castles from Cinderella and Sleeping Beauty for the Disney Parks website. They are incredibly detailed sketches and two of my favourites. A couple of years later, Disney reached out again with a request to create a sketch of Anna and Elsa of Frozen for their YouTube channel. Disney is great to work with. Their characters are fun to re-create. What sketch have you been wanting to tackle but are hesitant? There are a couple. There is a painting called Paris Street; Rainy Day by Gustave Caillebotte and a series of stained glass windows by Marc Chagall titled America Windows that are on my list. I’ve never done a sketch based on a stained glass window so that will be an interesting challenge. It’s all about color and light. Caillebotte’s painting and Chagall’s stained glass series are at the Art Institute of Chicago so I will go in person to re-create those works. I’m excited to start. There’s no end to inspiration. Learn more about Jane’s work on her website. You can buy her work from her Etsy shop. She also hosts classes and workshops. Contact her through her website for more information. Chris Weston loves visiting toy museums so much that he decided to open one of his own. The Hamilton Toy Museum is a gathering place for the community he grew up in. Adults can step back in time to remember the toys they played with as children, while today's children can learn, play, and build. Chris shares what it's like to open a museum. Marvel: Universe of Superheroes exhibit. Exhibit curator, Brooks Peck, tells us what fans can expect to see and hear at this first-of-its-kind installation.